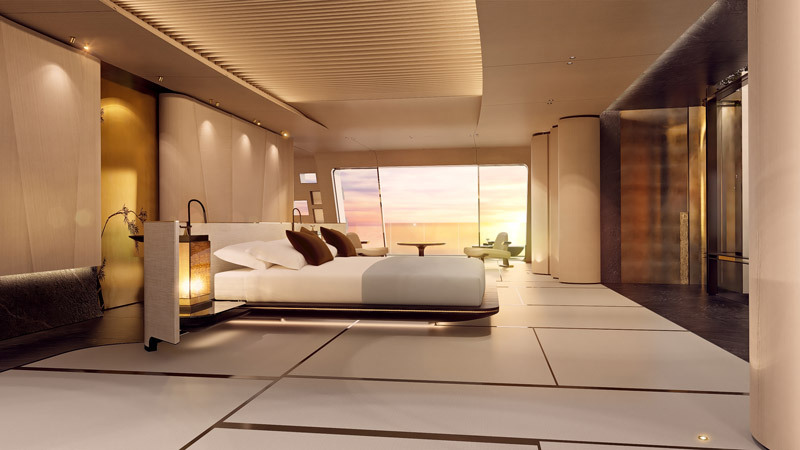 Tuhura, Oceanco’s latest project, conceived in collaboration with the Lobanov Design studio, BMT Nigel Gee and interior designer Achille Salvagni. The project was unveiled by His Excellency Saeed Hareb, Secretary General of Dubai Sports Council, Vice President and Chairman of Dubai International Marine Club - Mina Seyahi, and Senior Advisor to the Dubai International Boat Show. 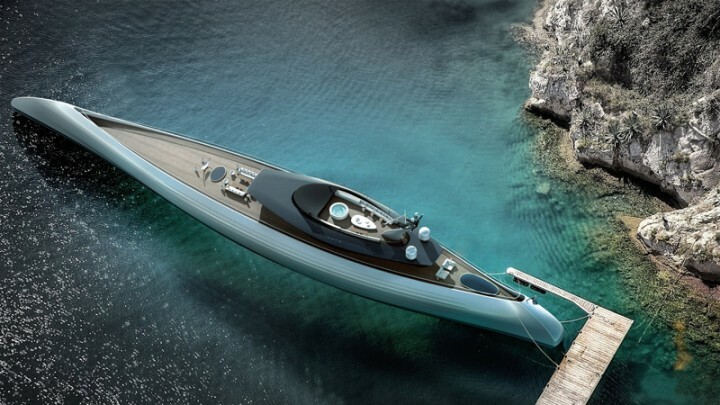 Tuhura is truly in a category of its own, unlike any yacht on the market. Its design harkens back to ancient times. The exterior styling is reminiscent of early canoes; dugouts and other vessels used hundreds of years ago by indigenous people all over the world. The Polynesians, in particular, famously made long voyage explorations across thousands of miles of open Pacific Ocean in their outrigger canoes. The thinking behind revisiting basic primal forms is to evoke a sense of exploration and discovery. In fact, the actual name, ‘Tuhura’ is derived from the Maori verb meaning: to discover, bring to light, unearth, open up, explore, and investigate. Lobanov’s masterful exterior design works well with the interior and is inherently flexible so that the yacht can be designed in any size from 80-120 meters in length. Tuhura’s hull and propulsion system have been developed in collaboration with BMT. The pure simplicity of the canoe form leads to a naturally efficient hull with low overall resistance, good seakeeping and excellent maneuverability. 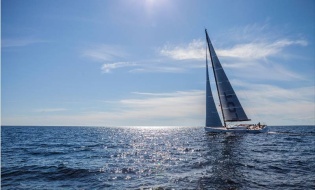 However integrating a modern propulsion system in the canoe form presents a challenge and the team opted for a hybrid Azipod® CRP (contra-rotating) propulsion system from ABB. The development of this system was initially trialed in 2003 and it is currently being applied with success on commercial vessels. James Roy, Yacht Design Director at BMT, stated, “The hybrid CRP system is inherently efficient and perfectly suited to the canoe form, there is a synergy between the efficiency of the hull form, and that of the propulsion system, leading to a yacht which marries an evolutionary simple hull with an evolutionary advanced propulsion system. Innovation and cutting-edge technology is evident throughout the design. 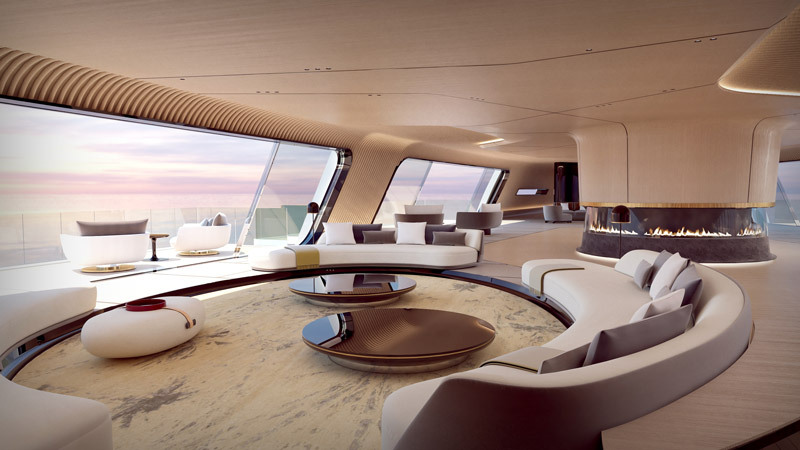 The hull has been conceived with multiple horizontal windows, utilising an advanced glass technology that consists of a series of dots, allowing the view from within to be completely transparent, while from the exterior, the windows appear the same colour as the hull, disguising their appearance. Glass features further in the impressive black superstructure made up of flat glass panels. Progressive and creative thinking extends to all the systems aboard. LuxLab, the custom design label from Van Berge Henegouwen (VBH) has joined the team to ensure that this is an extremely “smart boat.” Not only are there controls for HVAC, lighting, audio, video, curtains and such, but controls will also monitor behavior aboard regarding preferences such as music and temperature. Furthermore, there are plans to create a 360 room, a multipurpose space for both interactive design and information. Tuhura is designed for someone who has a true pioneering spirit and who desires to break the moulds of convention.